Year Two Review – What Makes a Ragdoll Foundation Project? Spring 2018 marks two years since the launch of the Ragdoll Foundation’s Open Grants Scheme. In that time we have considered 396 applications, invited 57 organisations to submit for stage two, and given out 26 grants totalling just over £500k. Our largest award in 2018 was £35,000 over 3 years to Citizens Theatre to support ‘Hear My Voice’ a 3-year drama and storytelling project working with 4-12 year olds in Glasgow school nurture programmes; our smallest grant was £1,500 to Cornwall-based CIC Drama Express to work with young people with complex disabilities to put on an inclusive summer pantomime. In any given month we currently receive 15-25 applications and invite 2 to 3 of these to submit for stage two, so around 1 in 7 goes to the next stage. At stage two, just under 50% receive funding. How can applicants improve their chances of being invited to stage two? Third, have a look at the funded projects on our website. Each of these has a quality that sparked the interest of our trustees. What will set your project apart from the others? 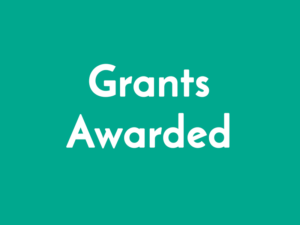 What will it add to the Ragdoll Foundation Open Grants Scheme portfolio? Finally… Answer all of the questions on the application form as clearly as you can and make sure that your stage one budget can be read when printed onto one sheet of A4. It might be a good idea to ask a colleague to read through your application to ensure that your proposal makes sense to a reader who is several steps removed from the project.